Here at Ace Floor Mats, we believe in our customers and make them our number one priority. If you are not 100% satisfied with your purchase. We will make all efforts to ensure a positive experience with our company. See below for return restrictions and details. To cancel an order: Please contact us immediately. Some orders will ship the same day and we cannot accept cancellations on orders that have already shipped or custom orders that are already in production. To return a product and receive a refund: As a general rule, we cannot accept returns on any of our logo mats, custom mats or mats in custom sizes or products that have been used. You may request a refund if returning a product in unused and original condition. 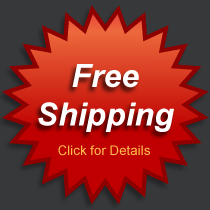 All returnable merchandise must be sent to us freight prepaid within 30 days of date of purchase. Before you return an item. You must contact us by email to receive a Return Authorization (RA) number issued by Ace Floor Mats. All unauthorized returns will be refused at our shipping dock. Upon receipt of a returned item, we will issue a refund (less shipping costs), if you purchased an item that included shipping, shipping costs will be deducted from your refund. All returns subject to a 25% restocking fee. Orders due to the shipper error will be re-shipped at the expense of Ace Floor Mats, providing the order was received with our Part Numbers, and/or description of product. If these requirements are met, we will pay for all normal freight charges incurred on replacement merchandise, as well as all normal freight charges incurred on returned merchandise received in error. We will also waive all restocking fees. Shipping errors must be documented in writing to our Returns/Adjustments department within 5 days of receipt of merchandise. Return of damaged or defective merchandise: Ace Floor mats will exchange any damaged or defective merchandise at no cost to our customers within 10 days of receipt of merchandise. Please contact us immediately if your product is damaged (All custom orders cannot be returned for credit and are guaranteed against manufacturing defects only. If you are receiving a shipment that is too large to ship by standard shipping method (UPS or Fedex) your order will be shipped using Truck Freight. It is important to inspect your merchandise before signing the bill of lading or if the box has any visible damage and you are concerned, you have the option to refuse the shipment immediately and return to our warehouse for immediate inspection. The customer shall be responsible for testing and verifying the suitability of the product for intended use. No warranty for intended use is implied. The customer assumes all risk and liability. Our only obligation is replacement or credit for product proven defective. We shall not be deemed liable for any loss or damage that may occur from the use or inability of the product. We have made every effort to ensure that all of the information contained within the price list is complete and accurate. Unimat reserves the right to make any changes or corrections to any information which may have been published in error. Part numbers, quantities, weights and prices are subject to change without notice. Every effort will be made to announce price changes in advance. All terms are cash upon shipment except where otherwise noted. We offer you the benefit of the only No Minimum “Drop-Ship” policy in our industry. Delivery is subject to availability and lead times required by Unimat production schedule. Product colors represent an average production run and may vary in shade depending on dye lot or compound variations. Whenever color selection is critical please request actual sample. Product sizes are nominal, consistent with acceptable tolerances in the matting industry. Acceptable tolerances vary by product type. Some mats may be longer or shorter than requested due to the materials used and the manufacturing process. We strive to insure that our products are as close as possible to the size specified. If exact are critical, we most be notified, or we cannot assume any replacement cost. All products are produced with acceptable tolerances in the matting industry. We warranty products to be free from defects in materials and manufacturing. When we have determined that a product is defective, it will be replaced. At our discretion, a credit may be issued instead of replacement. 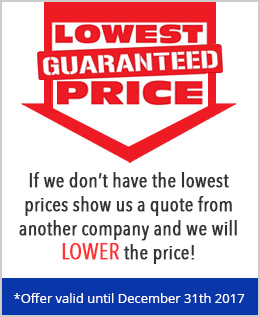 Our liability is limited to the cost of the defective product only. No other warranty is implied.